Libyan commander declares 'zero hour' for campaign to take city - The Maghreb Times ! Libyan commander Khalifa Haftar announced the start of military operations to “liberate” Derna on Monday after his forces clashed with rivals on the outskirts of the eastern city. “Zero hour for the liberation of Derna has struck. 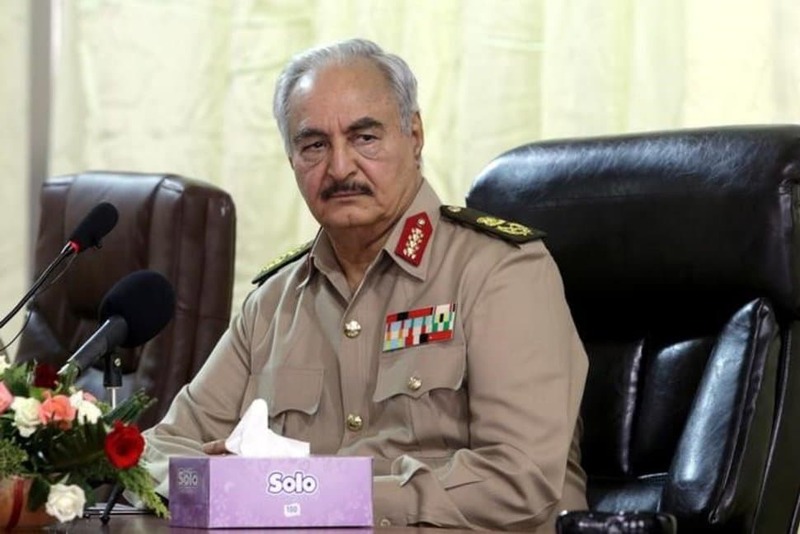 Our army forces are now targeting their hideouts,” Haftar said in a speech at a military parade in Benghazi. Derna is the last major bastion of opposition to Haftar’s Libyan National Army (LNA) in the east of the country. The LNA has encircled the city, on the coastal highway between Benghazi and Egypt, and has long threatened to begin ground operations there. However, its campaign has so far been limited to encirclement along with occasional air strikes and bombardments. Derna is controlled by a coalition of Islamist militants and rebel veterans known as the Derna Mujahideen Shura Council. Egypt, which backs the LNA, has also carried out air strikes in Derna on what it said were training camps sending militants into Egypt. After Libya split between rival camps in the east and west of the country in 2014, Haftar gradually emerged as the dominant figure in the east. He is aligned with a parliament and government based in the east and opposes the internationally recognized government in the capital, Tripoli. On Monday he was attending a military parade in Benghazi to mark the fourth anniversary of the start of his “Dignity Operation”, the campaign in which the LNA battled Islamists and other rivals to take control of Benghazi last year. The United Nations is leading efforts to stabilize Libya and prepare it for elections before the end of the year, but armed violence is still common across the country.